E-commerce has greatly altered the face of the business world. Whereas there are varied platforms on which e-commerce website can be developed, however, Magento is that the most popular platform and is most widely used platform around the globe by the companies. Magento tops the list once it comes to build an eCommerce platform because of its rich options and exceptional functionalities, the other reason is it’s a free open source eCommerce platform. Some of the important pros and cons of Magento are listed below. 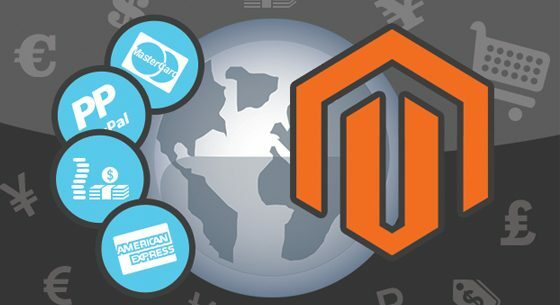 Magento is an open-source platform. In other words, we can modify the source code as per your needs and want, that allows us to customise templates and achieve the desired functionality. Magento makes easier to look and analyze the performance of websites. Furthermore, it additionally permits third-party integration for numerous functions like importing products. Magento is incredibly easy to use and you can simply showcase the products in your store. The easy layout of the platform helps the folks to navigate the website easily, that make certain that customers will quickly conclude what they’re looking for. Some of the other options that make Magento website user-friendly are multiple pictures of the products, zoom-in capability, and products reviews. Because Magento is open source and has a vast variety of engaged users, the community support is substantial. There are an estimated 800,000 developers worldwide, thus it’s fairly simple to seek out solutions to your technical problems. The plenty of eyes validating code in magneto delivers the features and performance required to meet the basic commerce needs of business today. Magento permits users to develop their websites as they want, by using the code, extensions, and functionality. Even extensions may be customised for a better-performing store. Magento is appropriate for all kinds of businesses, from product to services and from B2B to B2C. It is very important that your eCommerce website is optimized for search engines, if your website doesn’t show up within the results of the search engines, you’ll in all probability lose lots of business opportunities. This platform facilitates customization at front-end and its URLs, descriptions, and tags are very clean which improves the search engine ranking of the website. As Magento is large platform and complex to understand for novices, it desires full concentration and sharp mind to handle it. Most of the time it’s difficult to seek out the versatile developers. Magento certified developer program has actually helped in narrowing down skills search when it comes to hiring Magento developers but this would unremarkably cost high. While the community version of Magento may be free, the upgrades actually don’t seem to be. The enterprise-level product includes a yearly fee which will be very overpriced for small to medium businesses, particularly considering that even with upgrades Magento continues to be an off-the-shelf solution which will not meet all your desires. You should use a dedicated server to host Magento. Different normal hosting platforms cannot be used to host it. Moreover, it ought to be organized in a server that you or your developer have proficiency in. Hence, there’s a limit to hosting Magento. Giving a conclusion in favor of anyone would be the injustice. In short, To develop an eCommerce site, choose the e-commerce website development company who has enough expertise to know the pros and cons of magneto technology solution. Selecting e-commerce website development services from e-commerce website development company can uplift the business status by providing best solutions.